MWM NEWS BLOG: Coffee Table Curriculum # 13. Coffee Table Curriculum # 13. 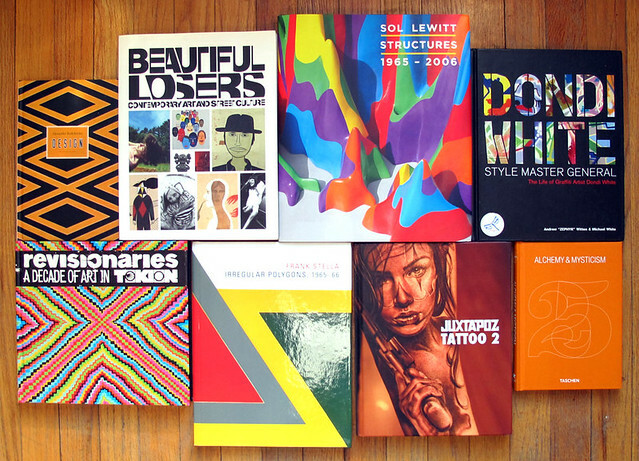 A few of the great books I am currently perusing : Alexander Rodchenko – Design + Beautiful Losers + Sol Lewitt – Structures + Dondi White + Tokion Revisionaries + Frank Stella – Irregular Polygons + Juxtapoz Tattoo 2 + Alchemy & Mysticism. *Also check previous Book List posts in the sidebar.